Use to divide space or create an office. Constructed to absorb sound so noise is kept in and out. Powder coated finish on steel frame helps reduce scratches. Create a freestanding panel with T-base foot (sold separately). Color: Gray; Overall Width: 48""; Overall Depth: 60""; Overall Height: 60"". 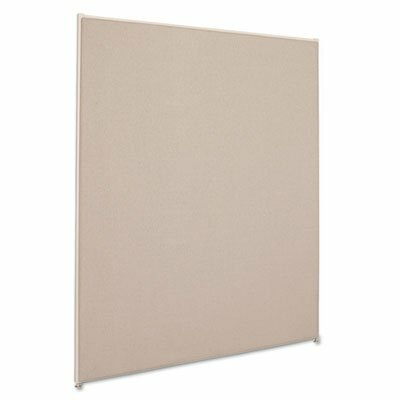 Semi-tackable office panel is 1"" thick and has a steel frame with a powder-coated finish.